18 Packaging & Distribution offers large thermoforming and vacuum forming capabilities plus wide and deep-draw capabilities for large trays, displays and specialty needs. 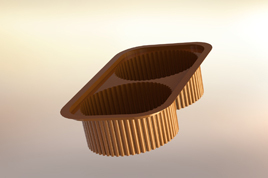 Thermoforming is the method by which trays are formed. This technique uses heat, vacuum and pressure to form the desired material into a shape determined by its mould. Thermoformed and vacuum formed trays offer numerous options for protecting and displaying your products. They can be custom designed, using a wide variety of materials and colours, for many applications such as cosmetics packaging, material handling or displays. Trays can be shaped to fit a particular product with features like indentations and stacking or de-nesting for easy stacking and removal from tight shipping boxes. Trays can be embossed to allow for identification or finger holes for easy handling. Another type of tray is called an insert. Inserts can hold one object only or organize a multiple-component product for visual appeal. 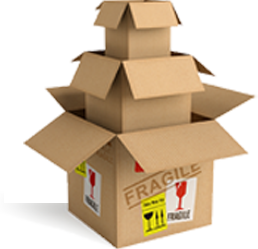 Inserts are then typically placed into folding cartons, rigid boxes, clamshells, or blister packs. To see how 18 Packaging & Distribution can meet all your contract packaging, thermoforming & POS Printing needs, please call +27 11 822 3474 now or contact us today.